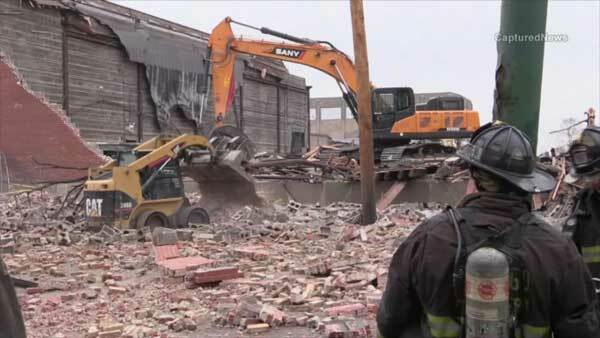 CHICAGO (WLS) -- Crews cleaned up debris in Chicago's Little Village neighborhood after a building collapsed. Firefighters responded to the scene in the 3200-block of South Kedzie Avenue around 8 a.m. Tuesday. Sandra McPherson described the moment she saw the debris spill onto the street. "The gent right there, he comes out. He stands there with his hand up. So I'm thinking, OK, a little blockage for a little while. The next thing I know, wham! Mortar, brick, everywhere! It just come crashing down. No warning, nothing!" McPherson said. The building was undergoing demolition. No one was hurt. 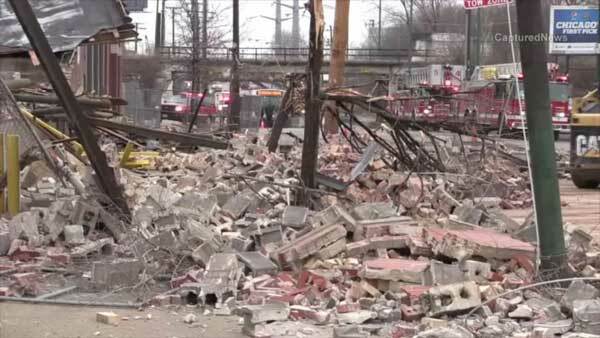 A building set for demolition on Chicago's Southwest Side collapsed Tuesday morning.